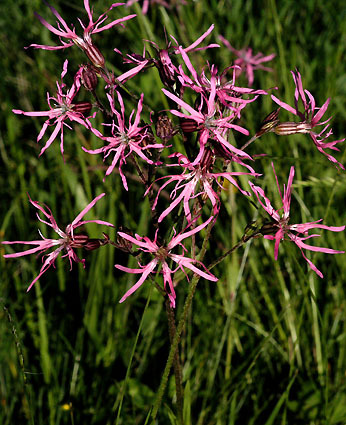 Lychnis flos-cuculi - Carinthia (Austria). This attractive plant is widely distributed throughout Europe. It inhabits wet grassland. Not really suitable for the rock garden.